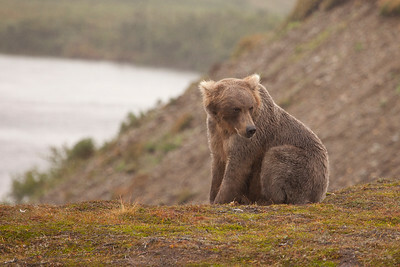 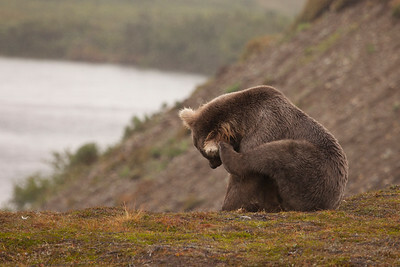 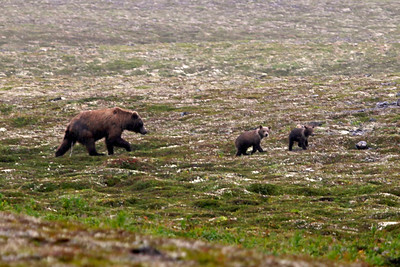 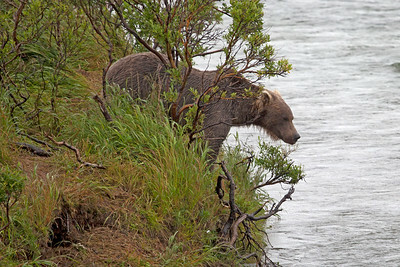 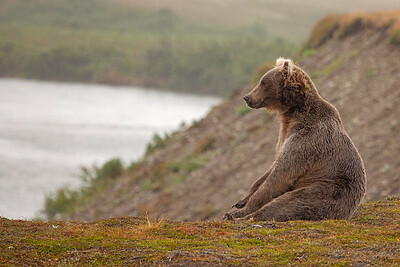 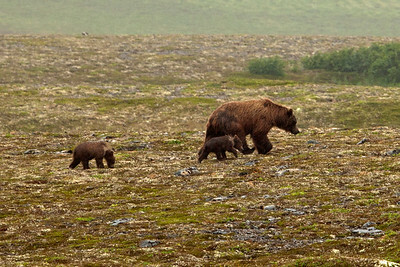 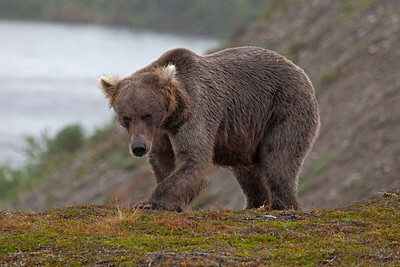 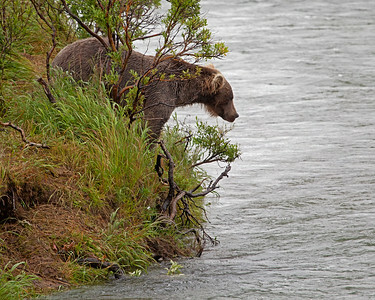 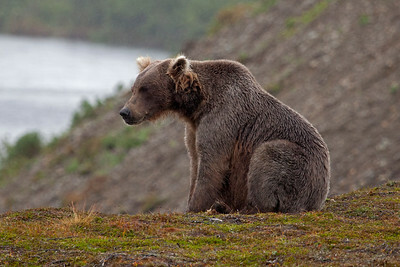 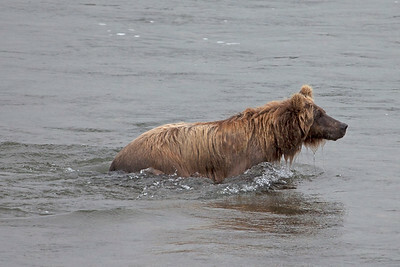 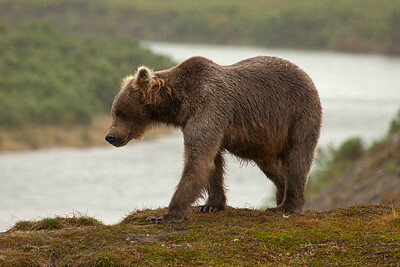 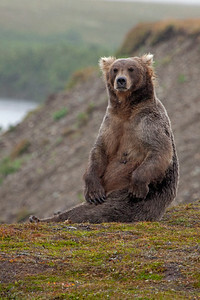 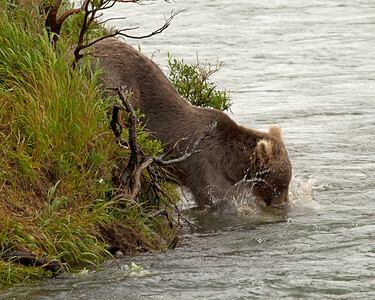 Momma grizzly bear is taking care of business and keeping a close eye on her two young cubs. 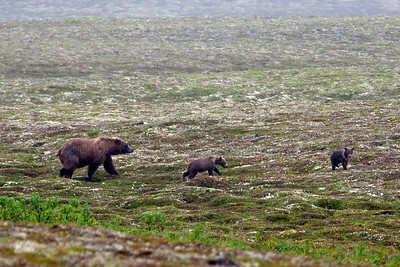 They unfortunately decided to move away from us and over the next hill. 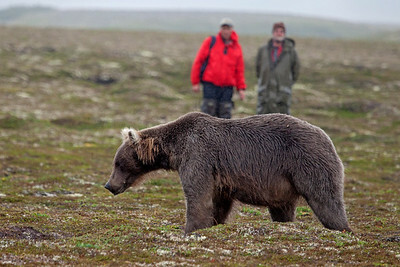 Our first close encounter. 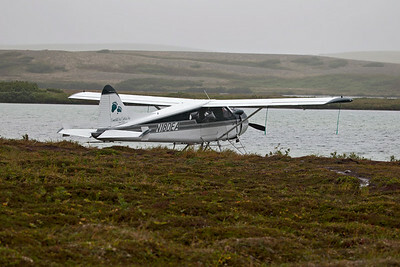 We had just arrived on the Beaver aircraft on the left. 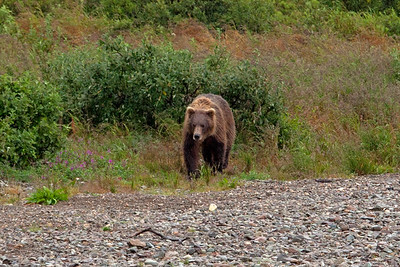 She came up behind us and walked between us and our only transportation. 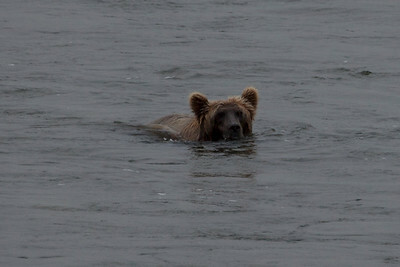 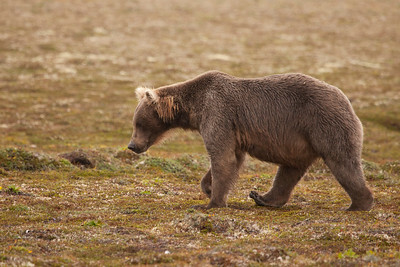 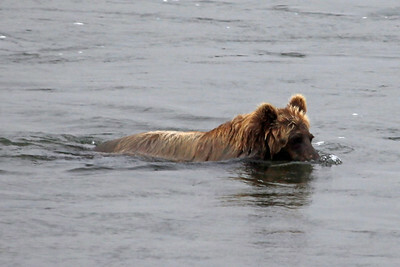 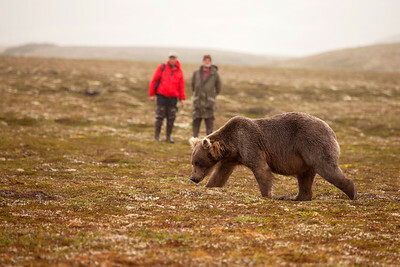 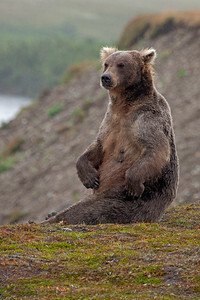 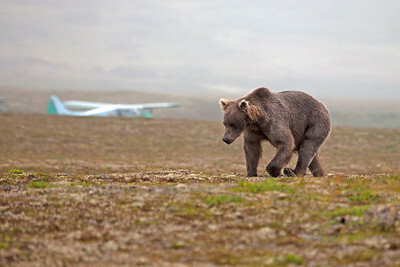 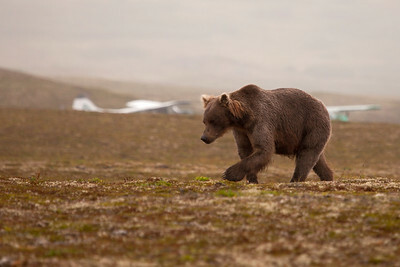 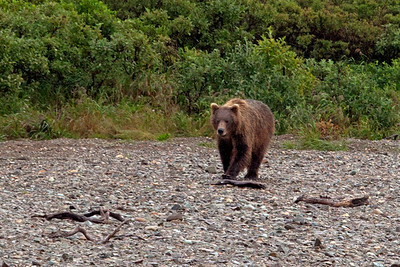 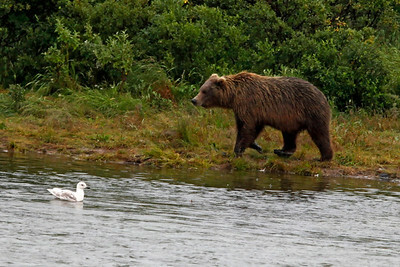 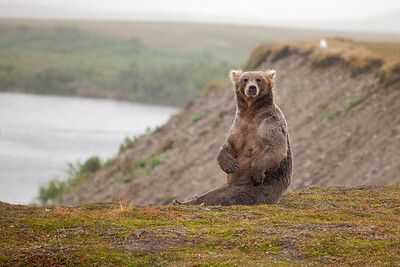 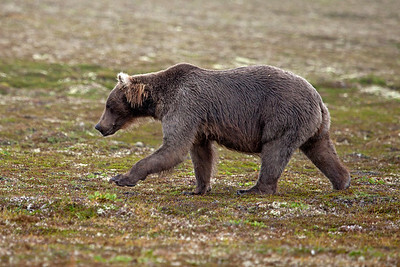 The brown bear walked between us and the only two pilots in the area.